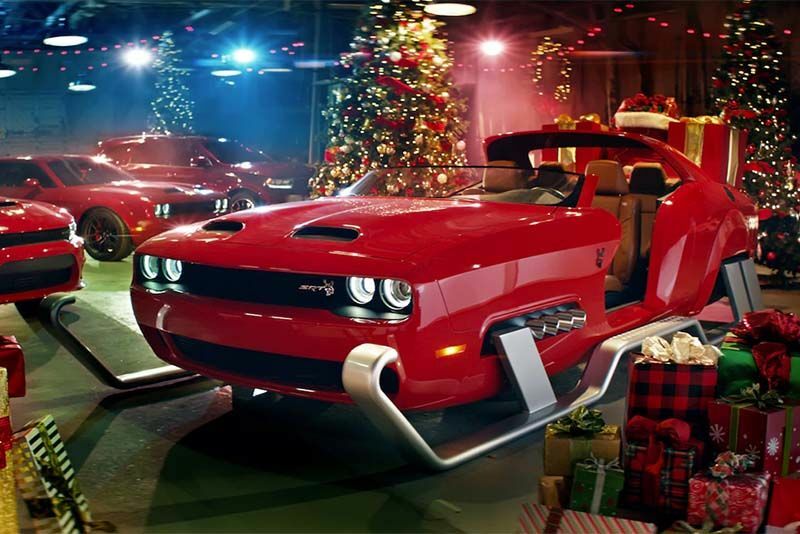 St Nicholas must be a happy chappy indeed, just check out his new ride, the Dodge Challenger SRT Helldeer Redeye sleigh. Feast your eyes on Santa's new transport, courtesy of the lovely chaps at Dodge/SRT. And, to be clear, it's not just a 'Helldeer' (see what they did there), it's a Helldeer Redeye, which means the jolly fellow in red gets an upgrade from eight reindeer to a whopping 797 horses! It's not clear how this beast of a vehicle actually moves forward considering the large 275/40ZR20 rubber has been replaced with slick sleigh runners. The technical director of motortrend.com suggested that "forward motion occurs via exhaust thrust out the rear-fascia-mounted tailpipes, while steering is accomplished by redirecting the abundant exhaust flow to either of the four side-thruster outlets positioned where the front wheels live on terrestrial Challengers." Stopping, then, seems to rely purely on friction, which probably doesn't happen too rapidly. Which sounds safe. We also suspect that Santa may be doing a few trips more than usual as boot space doesn't quite compete with his more traditional mode of transport but, we doubt he'll complain about that. Besides, he's pretty magical, we're sure he'll figure something out.